Tanner Holmes #18t won his second straight Kendall Oil Winged Sprint Car feature. 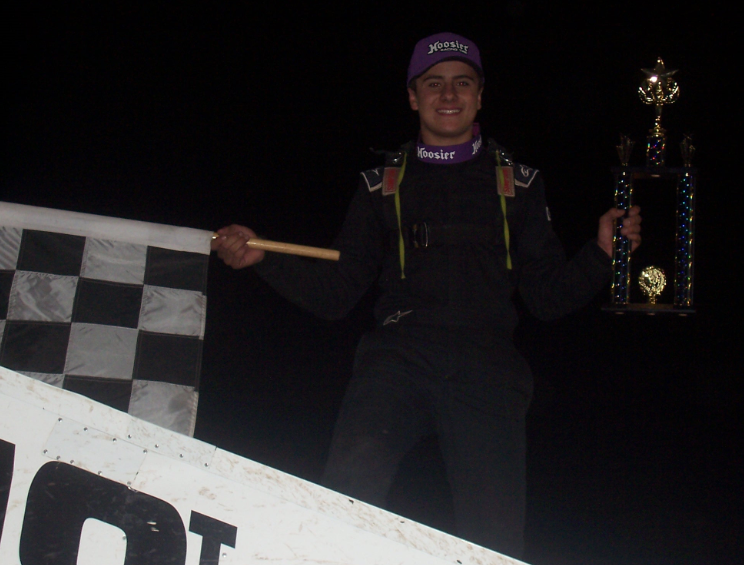 White City, Oregon...September 22...Tanner Holmes closed the 2018 season with a thrilling 25 lap Kendall Oil Winged Sprint car Main Event victory Saturday night at Southern Oregon Speedway. It was his second straight win. Holmes started running the high line during the final half dozen laps and made an impressive charge from fifth. Working the final lap with a slower car on the outside of race long leader Mike Wheeler, Holmes went high and beat Wheeler back to the checkered flag for the win.. Bailey Hibbard finished third ahead of Blaine Corey and AJ Harbaugh. David Hibbard is the new champion. Preston Jones #5j won his first career IMCA Modified Main Event. 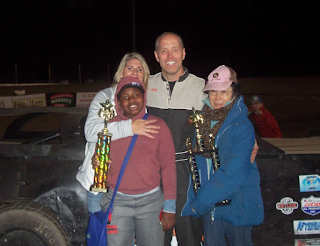 Preston Jones won his first career 25 lap IMCA Modified Main Event. Jantzen Knips led Mark Wauge for five laps before Jones made a Turn 2 pass to take second from Wauge. Jones then passed Knips on the back stretch on lap eight for the lead. On a lap 16 restart, CJ Putnam took second from Knips. Putnam spent the final nine laps trying to get by Jones. However, Putnam's last turn attempt at a high pass came up just short as Jones won. Zach Fettinger finished third followed by Jon DeBenedetti and Wauge. Albert Gill wrapped up his third championship in the last five seasons. 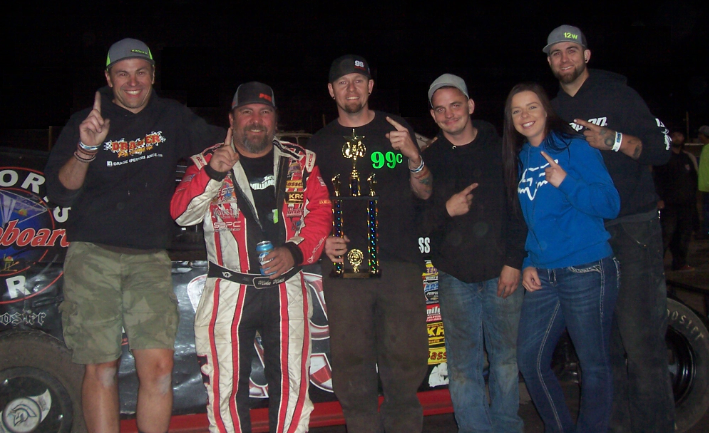 Doug Coffman #99c got his first Southern Oregon Speedway IMCA Sport Modified Win. Doug Coffman won the 20 lap IMCA Sport Modified Main Event. Coffman led from the start with Rich McCoy taking over second on lap three. Through numerous yellow flags, Coffman continued to hold off McCoy on each restart to win. Justin McCreadie finished third ahead of Jimmy Lipke and Randy Wright. David Marble won his first Sport Modified championship. Dr. Scott Lenz #51l used his Calculated Comfort Outlaw Pro Stock Main Event win to wrap up his second straight championship. 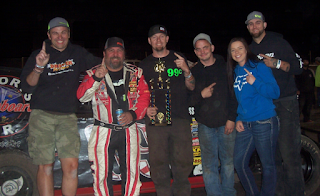 Scott Lenz wrapped up his second Calculated Comfort Outlaw Pro Stock championship with his eighth series win. Lenz made a Turn 2 pass on Steve Borror on lap four and proceeded to lead the rest of the 20 lap race. Lenz won by a half-lap ahead of Borror. Scott Flowers won a late race battle with Dave Quick for third as James Flowers finished fifth. Chris Mehrer #17 won the OTRO Hardtop Trophy Dash. 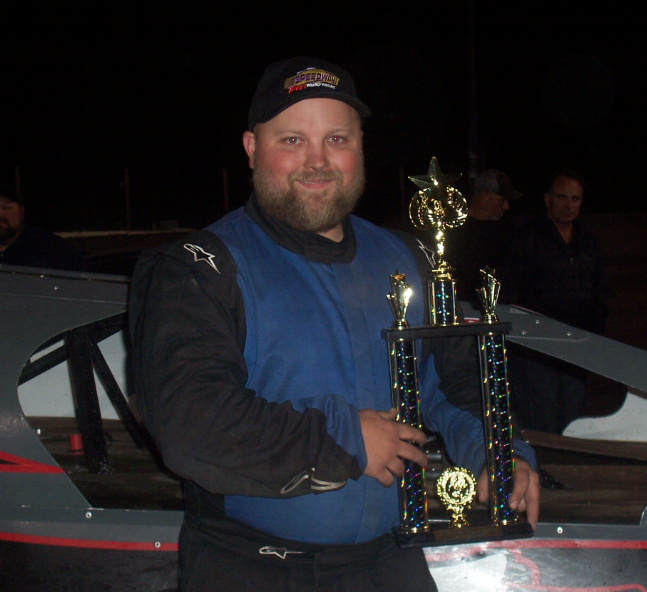 Bill Trotter won his second OTRO Hardtop Main Event of the season. Trotter led the 15 lap race from the start. Jay Smith ran closely behind him for most of the race until losing a rear wheel in the final turn. Trotter won ahead of Dean Cast, Dillion Roark, Trophy Dash winner Chris Mehrer and Smith. This concludes the 2018 season. For news on the track and the 2019 season, go to www.southernoregonspeedway.com. 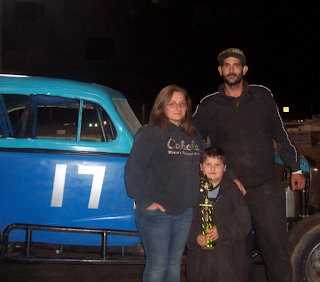 Heat Winners (6 Laps)-Tanner Holmes, Mike Wheeler, David Hibbard. Scramble (6 Laps)-Mike Wheeler. B Main (12 Laps)-Camden Robustelli, Enrique Jaime, Cooper Desbiens. Main Event (25 Laps)-Tanner Holmes, Mike Wheeler, Bailey Hibbard, Blaine Cory, AJ Harbaugh. Heat Winners (6 Laps)-CJ Putnam, Jesse Bailey. Trophy Dash (4 Laps)-Albert Gill. Main Event (25 Laps)-Preston Jones, CJ Putnam, Zach Fettinger, Jon DeBenedetti, Mark Wauge. Heat Winners (6 Laps)-Rich McCoy, Branden Wilson, Doug Coffman, Willie McFall. Trophy Dash (4 Laps)-Rich McCoy. B Main (12 Laps)-Michael Rule, Tony Duste, Gary Foster. Main Event (20 Laps)-Doug Coffman, Rich McCoy, Justin McCreadie, Jimmy Lipke, Randy Wright. Heat Winners (6 Laps)-John David Duffie, James Flowers. Trophy Dash (4 Laps)-Scott Lenz. Main Event (20 Laps)-Scott Lenz, Steve Borror, Scott Flowers, Dave Quick, James Flowers. Heat Winner (6 Laps)-Bill Trotter. Trophy Dash (4 Laps)-Chris Mehrer. Main Event (20 Laps)-Bill Trotter, Dean Cast, Dillion Roark, Chris Mehrer, Jay Smith.